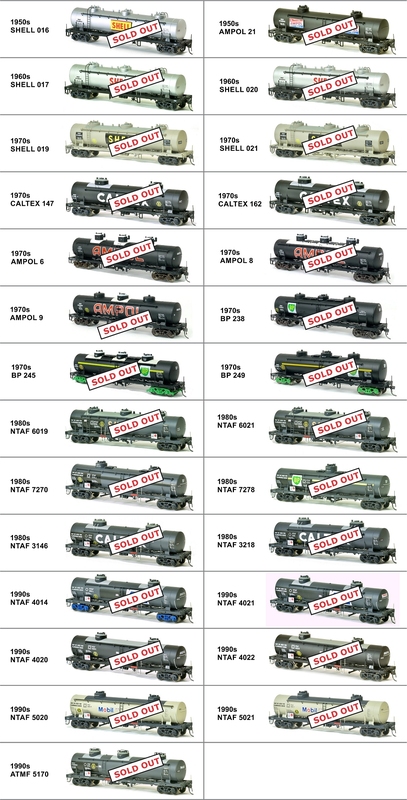 SDS Models are producing 10 different styles of Tulloch 10,000 gallon rail tank car. It includes new dome and walkway configurations for Mobil, Caltex, Shell and BP. We have done new tooling for for the distinct offset position of the Mobil domes, there is a new Caletx tank with elongated domes, a two dome version of the Ampol and BP cars and plus a new single dome BP model. This provides us with the widest range of tank car styles and oil company colours to faithfully reproduce these colourful cars from the past 60 years. All our models are uniquely decorated and accurate representations of that period.